A 90th minute Sam McIllhatton strike has rescued a dramatic 3-3 draw for Sydney FC as they heorically fought back three times against Bonnyrigg White Eagles at Lambert Park on Saturday.  Trailing 3-2 with time running out, the Sydney FC captain blasted into the back of the net to secure an unlikely point for his side after a topsy turvy clash. Bonnyrigg opened the scoring as Aaron Peterson claimed a first half double to give the White Eagles a 2-1 lead at the Interval. Former White Eagle striker Hassan Jalloh and Patrick Flottman fired back for they Young Sky Blues before Bonnyrigg’s Jewook Woo had Brian Brown’s side on the cusp of a much needed victory. However, twice in two weeks Bonnyrigg has dropped points at the death with McIllhatton inflicting further injury on a struggling Bonnyrigg outfit. Having lost Nikola Zonjic to injury before the game and Mun Soo Gil to suspension, things went from bad to worse for the White Eagles as Tynan Diaz succumbed to injury in the opening minutes of the game. Despite the handicap, the away side had the first goalscoring chance of the game as Peterson and Shervin Adeli combined well with the White Eagles number 10 poking the ball inches wide of Duro Dragicevic’s goal. Minutes later and Sydney were in on goal but Brendan Curtis and Jeremy Cox got in each other’s way. In the 23rd minute it was the White Eagles threatening again, this time from a set-piece. A Ray Miller corner was poorly dealt with by the FC defence before they somehow managed to clear the ball away. Five minutes later, Sydney FC had their chance through former Bonnyrigg junior Luke Ivanovic, but the striker could only find David Bradasevic’s gloves. On 33 minutes Peterson had the White Eagles in front. Another testing corner from Miller saw Peterson rise highest at the near post to head into the far corner of the goal. It was robust striker’s first start since round one. Jalloh had the scores level five minutes before the break. The FC striker ran onto a through ball with only Bradasevic to beat, calmly slotting the ball beyond the keeper. Bonnyrigg hit back almost immediately, again through Peterson. The striker received a bouncing ball on an acute angle, riffling a volley toward goal and giving Dragicevic no chance in the FC goal. The White Eagles continued their dominance in the second half but were pegged back against the run of play. Failing to clear the ball in the area, Flottman popped up at the back post to put the ball passed Bradasevic and find the equaliser for the home side. A fine flowing White Eagles move saw them move from one end of the pitch to the other with the ball going inches wide of the goal. But the away side hit the front for a third time, this time through Korean import Woo. Miller was pulling the strings in midfield, slicing open the Sydney defence with a great ball. Woo only had the keeper to beat, composing himself and slotting the ball into the back of the net. In the 90th minute Sydney found their third equaliser of the game. A ball to the far post was cut back by Jackson Bandiera as FC captain Sam Mcillhatton blasted the ball into the back of the net. The White Eagles had one final chance through Vrankovic but the midfielders header came off the upright. Robbie Stanton was pleased with how his young side stayed in the game. “It was a good lesson for my boys, they stayed in the game for 90 minutes and got what they deserved,” Stanton said. “We still got a lot of work to do and in the end it was probably the fair result. For his opposition number Brian Brown, it was another tough pill to swallow as the club continued with the 2018 season without a victory thus far. “I feel sorry for the boys, they put a lot of effort in,” Brown said. “I said to them during the week, we should’ve won three of our four games and we’d be sitting in second spot, instead, we’re at the bottom with two points. Sydney FC: 30. Dragicevic, 6. Agamemnonos, 15. Cox, 2. Curtis, 3. Flottmann, 11. Ivanovic (18. Lamberton), 9. Jalloh (22. Van Der Saag ), 4. McGing, 8. Mcillhatton, 16. Mutch, 7. Skotadis. Substitutes not used: 1. Evans, 12. Bandiera, 24. Blachura. Bonnyrigg White Eagles: 21. Bradasevic, 10, Adeli, 7. Diaz (17. O’Rourke), 16. Gallaway, 15. Miller (2. Avery), 9. Peterson, 14. Smith, 20. Tosi, 3. Vrankovic, 22. Woo, 13. McKenzie. Substitute not used: 1. Chronopoulos, 12. Bereveskos, 17. O’Rourke, 4. Krljar.